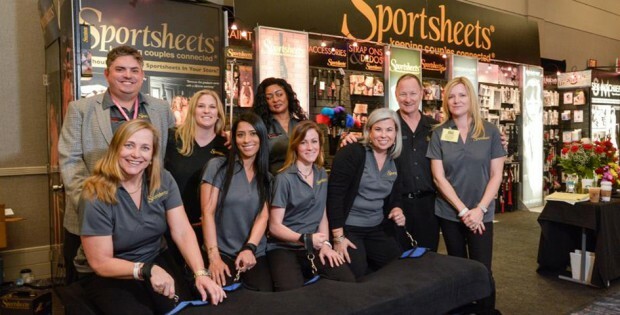 The Sportsheets team has wrapped another successful Winter ANME. The 20th Anniversary of ANME marked the company’s first appearance with the latest industry vets to join the manufacturer’s ranks, Michael Guilfoyle and Colleen Godin. Booth visitors saw the Edge Dragon Kiss whip, new Sexperiments pieces, and Sportsheets Lush Strap-On. “The Lush Strap-On was created because we had petite consumers buying the Plus Size Beginner’s Purple Strap-On,” says CEO and Founder Tom Stewart. “Women of all sizes liked the color and fabric so much that they were buying it and then modifying to fit their non- plus-size frame.” Stewart says the latest products were created with the company’s biggest fans in mind.